They are small. They are dressed in blue, have green hair and is 8 x 8 pixels. Lemmings started as a small PC-demo in 1989. The game was shown to Psygnosis, but they didn’t want to publish the game. DMA Design made more levels and worked more on the game, and in the end, it was Psysgnosis that published the game. Lemmings was released on Valentines Day, February 14, 1991 on the Amiga. 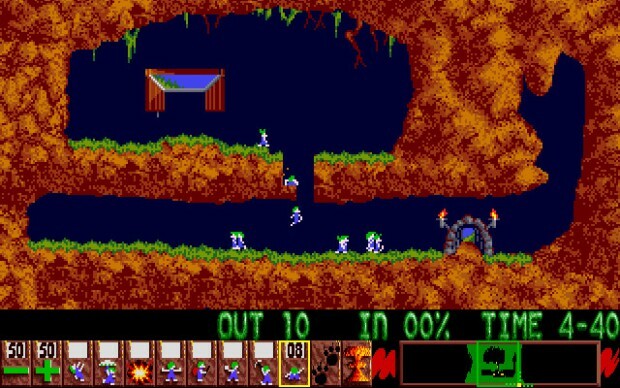 The reason for the choice of colours on the Lemmings, was that EGA on PC only supported 16 colours and was at the time the weakes platform the game was developed for. With green hair, a white body and blue clothes, the Lemmings would look the same on all platforms. The idea of Lemmings is simple and ingenious. You have to guides as many Lemmings as you can through the levels. Some times you will save them all, sometimes you have to sacrifice a Lemming or 10. Lemmings can originaly have eight different abilities: Climbers, Floaters, Bashers, Miners, Diggers, Builders, Blockers and Bombers. In later games the got more abilities, some of the them quite confusing ones. The original Lemmigs made use of the Amiga support for two mice. In addition to 120 levels, it had 20 levels for two players. 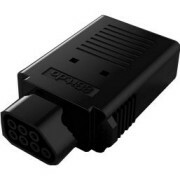 The Atari ST version had the same, but had to use one mouse and a joystick. Some of the console conversions also had 2-player support. Lemmings was followed by Oh No! 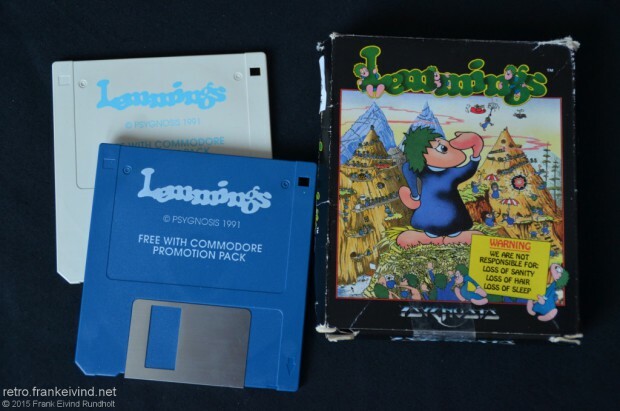 More Lemmings – also released in 1991 – it was as a data disk and as a standalone game. It added 100 new levels to Lemmings. In 1993 Lemmings 2: The Tribes was released. Christmas Lemmings was small demos which was released around Christmas time between 1991 and 1994. The third Lemmings game was released in 1994, All New World of Lemmings. This was the last game to be made by DMA Design. Like most of other games in the midle of the 90’s, Lemmings turned in to the world of 3D. 3D Lemmings was released in 1995. Lemmings Revolution came out in 2000. The last Lemmings game came out in 2006 and this was back to the original of ’91. Lemmings was a very successful game. It sold 50-55 000 copies on Amiga on releaseday. So the game was converted to almost all format known under the sun at the time. Some of the consoles and computers that got a conversion of Lemmings was Commodore 64, Sinclair Spectrum, MS-DOS, Sega Game Gear, Master Syste, Mega Drive, Super Nintendo Game Boy, 3DO and Playstation. I remember playing Lemmings in 1991. It was a good game then and it’s a good game now. ever seen on your screen. This entry was posted in retro and tagged Lemmings, retro, The History of.... Bookmark the permalink.